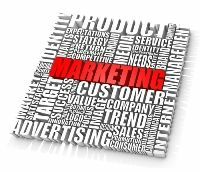 An effective HVAC marketing strategy should generally include a broad spectrum of tools designed to reach your target consumer, and yield results. But, finding out just what those tools are can be difficult, and that process requires time. And unless you have the time to spend hours staying up-to-date on the latest marketing know-how, your current strategy might be akin to shooting arrows in the dark. Using the tips below, you can select effective tools and hit the mark every time. Developing a customer retention program that generates qualified leads, allows consumers to refer and optimizes up-selling and cross-selling practices. Using email marketing campaigns designed to maintain consistent and quality communication between your business and your customers. Including thank you cards and ecards, which allow you to develop further communication touch points, based on customer needs. Implementing customer satisfaction surveys, uniquely designed to glean useful information to fine-tune your product line, services, customer service, billing and website. Developing a definitive database of customers, ensuring that it provides accurate personal information. Using promotional programs, based on the seasonal heating and cooling needs of your customers and offering deals on maintenance services, to ensure customer loyalty. Optimizing brand awareness marketing, by including your logo, company brand and slogan on every piece of communication. Using targeted lead-generation prospecting systems that allow you to gather address lists within your market to target consumers and respond with services and products that are relevant to customer needs. Implementing a comprehensive, systematic plan that spans several years, which allows you to develop a consistent, valuable series of communication materials with your existing customers and qualified leads and ensures that your efforts pay off by increasing your bottom line. Continuity Programs has successfully served a variety of companies in the 40 years we’ve been in business, and we know how to help to companies succeed through a customized, comprehensive HVAC marketing strategy that works. Give us a call today. all or any issues relative to A/C.